Gain your Level 3 Anatomy and Physiology certification in just one day with our full beginner’s course. The course will include all syllabus requirements for candidates who then wish to progress onto Level 4 and Level 5 qualification in IPL or Laser Hair Removal. Bianco Academy are now running a Level 3 Anatomy and Physiology training course with our highly skilled trainers. The course will run for one day from 10 am to 4 pm, all training will be theory based as opposed to practical. This is the start of your journey, so no previous qualifications are required to begin this course. Our Anatomy and Physiology training course has been designed for students who wish to attain their Level 3 qualification before progressing onto Level 4 and 5 IPL or Laser Hair Removal. Once you have completed your Level 3 Anatomy and Physiology training, you’ll be able to go on to study the Level 4 & 5 courses of your choice. The Level 3 course will open doors to your desired route in the beauty industry, helping you on the journey to opening up your very own clinic. 0% finance is offered for 12 months on all courses & equipment, offering you a little helping hand. 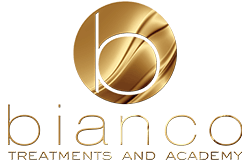 When booking a 2 or 3 day course, Bianco will provide accommodation free of charge for up to 2 nights. A memory stick will be issued to every student, containing all of the course information to take away.